Usually when you think about the history of Central America, you think about the ruins of Meso-American cities, with their pyramid temples and gruesome ceremonies depicted on their walls. All of South America is covered in the ruins of ancient civilizations like the Moche or the Inca, but some of the most impressive ruins (with the exception of Macchu Picchu maybe) can be found between Mexico City and Guatemala City. 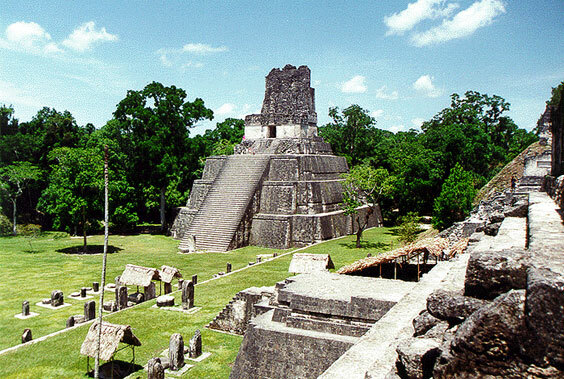 Here’s a list of the most fascinating ruins in Central America. Teotihuacán is the best known of the ruins in Central America, and it is also the largest archaeological site in Mexico. 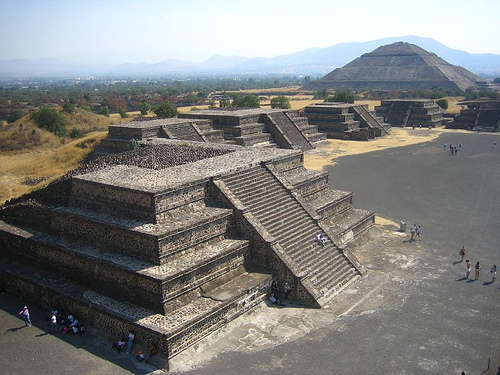 The name of the ancient city means “place of those who have the road of the gods” in Nahuatl, the language of the Aztec people. 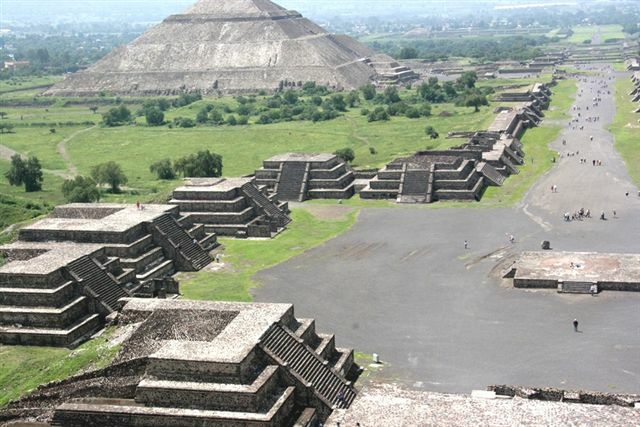 In addition to the well known pyramids, the ruins are those of huge residential complexes, the Avenue of the Dead, and countless colorful, well-preserved murals. As opposed to ruins in Peru, for example, Teotihuacán was not destroyed by colonists, and historians are not really sure why the city fell into ruins in the 8th century. The amazing Pyramid of the Sun is second in size only to the Great Pyramid in Egypt. Nowhere near as large as the ruins of Teotihuacán, but just as mysterious, the ruins at Palenque are nestled in the middle of the Mexican jungle. The age-old ruins are in stark contrast with the lush forest that once swallowed the city, and the well-preserved ruins offer a unique glimpse into a fascinating culture. Interestingly enough, the descendants of the people who built the temple are still living in the area, and can tell you lots of stories about their history if you happen to speak some Spanish. 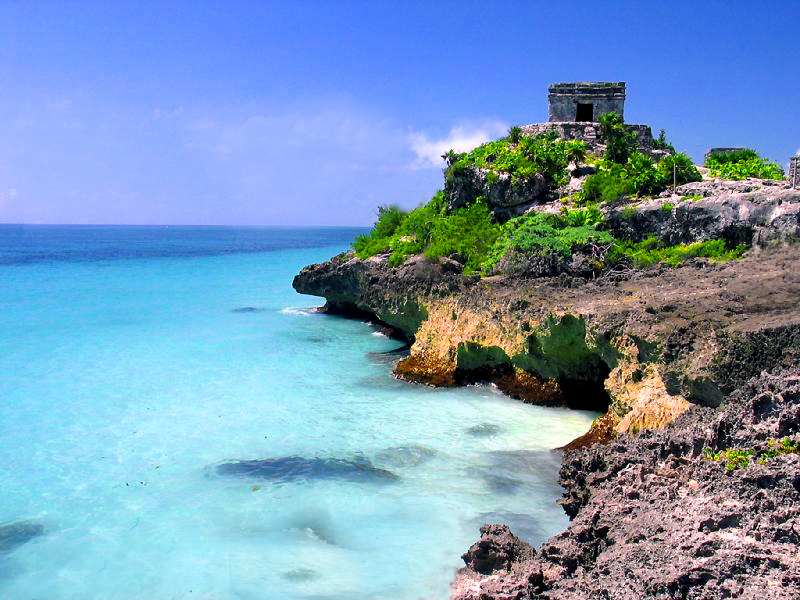 The ruins of Tulum in the Mayan Riviera are the most scenic ruins in Central America, not only because they have huge archaeological value, but also because they offer a spectacular view of the blue waters of the Caribbean. The ruins are not large, and it can be difficult to access them, but their location on steep cliffs is unique. Unfortunately, parts of the ruins are off limits due to the large number of visitors, which threatens to destroy the buildings. The ruins of Tikal in Guatemala form the largest archaeological site in Central America, covering 23 square miles, and parts of the complex have not yet been excavated and cleared of the jungle that took over the city. The city was peacefully abandoned in the 10th century, so most of the buildings are still intact. The extent of the complex is so huge that you would need a week at least to properly explore all the sights, so the best plan is to stay a couple of days at least (and don’t forget your mosquito repellent).